I am amazed at the number of audiophiles I meet, who buy speakers based on the size, exotic designs or some unobtanium materials that some manufacturers claim, deliver superior performance. 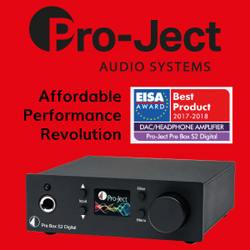 I am also surprized at how some audiophiles assume that just because a speaker carries a high price tag, it must deliver a high level of performance. 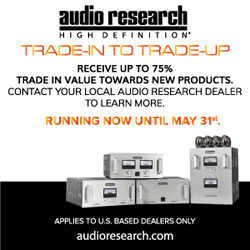 This is a pity, because with proper due diligence, you can find modestly priced speakers which will significantly outperform their more expensive, exotic looking counterparts. Unfortunately many of these speakers do not get an audition because in many cases they are endowed with unpretentious aesthetics and somewhat conventional designs. 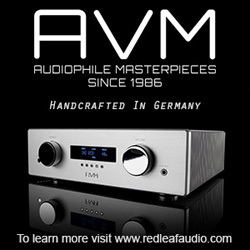 One of the speakers that fall into this category is the Merlin Music TSM MMM ($3,080), the subject of this review. The TSM MMM is a mini-monitor with a very traditional, understated design that is unlikely to catch your eye at a dealer’s showroom. However, if you choose to put this little speaker through its paces, it will be quite a revelation. 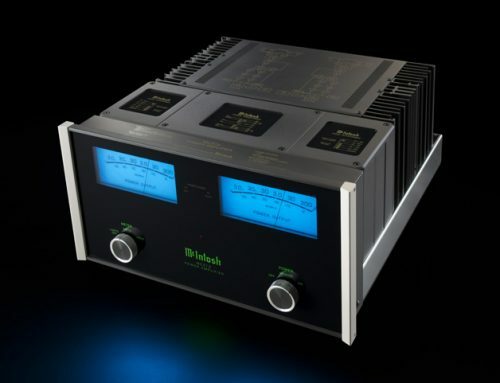 The TSM is the brainchild of Bobby Palkovich a highly regarded personality in the world of high-end audio whose philosophy is to stay away from fancy designs and esoteric materials. Rather, he prefers to stick with what is tried and true while constantly squeezing out better performance from the same basic design with meaningful enhancements. Some detractors have referred to these enhancements as merely tweaks but the fact that these ‘tweaks’ have yielded significant and easily detectable improvements does seem to indicate that there is a method to this perceived madness. For decades now, Bobby has bucked the industry trend of offering marketing driven “dramatically new and improved” designs. 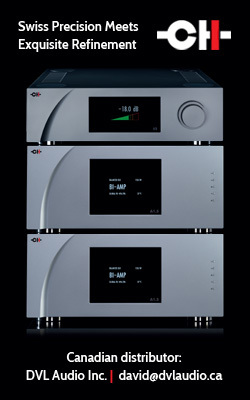 Instead, he has offered just two speaker models, the mini-monitor TSM and the floorstander VSM. Aesthetically, they look more or less the same as they did a couple of decades ago even though, in terms of performance, they are worlds apart. The TSM MMM was delivered in a largish carton weighing around 63 pounds. 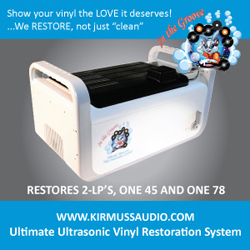 The speakers were packed very professionally and should be able to withstand a good deal of abuse during shipment. Installation of the jumpers and RC networks was simplicity itself. The TSM MMM has bulletproof build quality and are quite heavy, given their modest size. They are offered in just one colour, studio black which is a matt, workmanlike finish. Other colours can be had if you upgrade to the MXM, which comes in a premium high gloss, clear coat finish. The MXM version comes in an array of very attractive colours including Piano Black, Ruby Heart Red, Moss Green, Black Ice Blue, Pearl White and Eggplant. The TSM has a very small footprint and benefits greatly if married to a solidly built, low resonance stand with good stability. For the review I used the Sanus top-of-the-line Foundations Ultimate Series stand filled with sand. The TSM is a sealed, air suspension enclosure and the cabinet is made out of pan fibre held together with super strong polyurethane glue. The gently curving front edges of the speaker cabinet minimize diffraction. There are three brass tuning rods on the front of the speakers that serve to control the pitch movement of resonance patterns in the unusually thick (1.5 inches) front baffle. They also lend an elegant touch to the speaker façade. 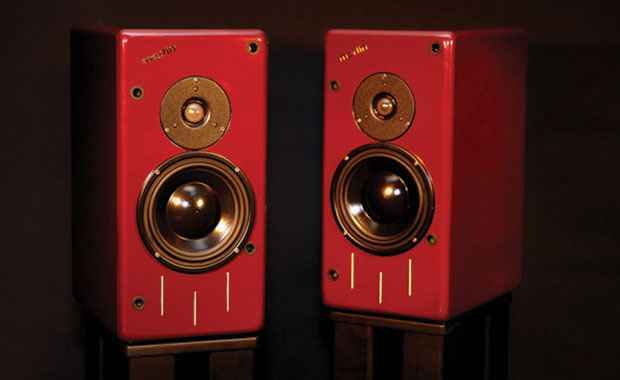 The TSM employs matched pairs of Renaissance 30.5 liquid cooled, silk dome tweeters and matched MW 164 pulp cone woofers. 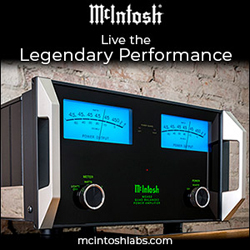 The crossover is a highly optimized 12 dB per octave with a crossover point at 2,150 Hz. It employs Caddock, Cardas and Hovland parts and the circuit topology is of the same grade as its older sibling the VSM. Both drivers are wired in electrical phase. The internal wiring is all point-to-point hand wired using Cardas’ top of the line Clear, which is custom made for Merlin Music. The terminals are the very cleverly designed Cardas no-stress binding posts, which allow for bi-wiring. Bobby recommends against bi-wiring or bi-amping the TSM unless specific wire gauges are used. The provided jumpers optimize the performance of the tweeters. I strongly believe that, all else being equal, well-engineered two-way speaker systems have distinct advantages over their three-way counterparts. It is a lot easier to design a crossover that coherently blends two drivers as opposed to achieving the same level of top to bottom continualness when blending three different drivers. Three sets of drivers create an additional cancellation node, which adds even more to the problem and makes it very difficult to achieve good coherence. In my experience, two-way speaker systems also tend to be better at imaging. The frequency response of the TSM MMM is 55 Hz to 19 kHz (+/- 2 dB, 1 meter on axis). To get the speakers to the optimum toe-in position of 11 degrees, Bobby provides a wooden alignment tool that makes it very easy, simple and quick to toe-in the speaker to just the right angle vis-à-vis the sweet spot. 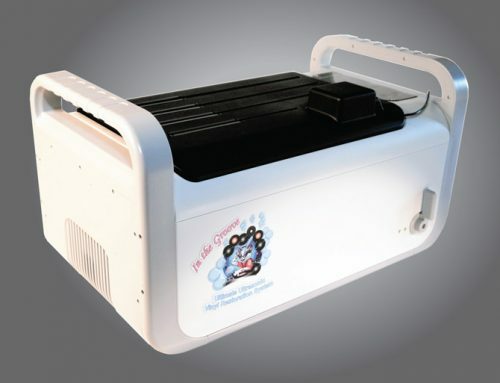 The TSM is rated to handle up to 80 watts peak, and has a sensitivity rating of 87 db. The warranty is an impressive 10 years and covers both parts and labour. 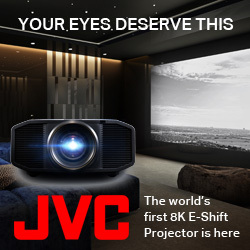 It’s one of the best in the industry. 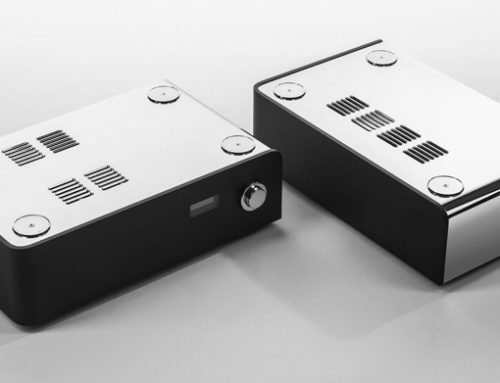 The TSM is a very easy load to drive, even with relatively low output tube amplifiers. This is because of its nominal impedance of 8 ohms with a minimum impedance of 6.5 ohms. The TSMs are not too difficult to place. A good starting point is the Cardas method that is available on the Cardas website. From there it requires just a little tweaking to lock the sonic image into place. The alignment of the speakers is also crucial to getting the best out of the TSMs. Which brings us to the meat of the matter, the sound quality. 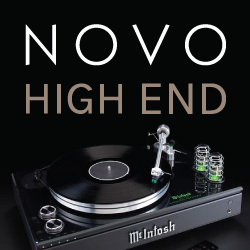 Having reviewed audio components for over 30 years now, I have come to expect and accept some pretty significant compromises with speakers in the $3,000 price range vis-a-vis their more expensive counterparts in the $10,000 plus range. It was therefore a pleasant surprise to hear the TSM, which kept those compromises to a minimum. The sound quality of the midrange delivered by the TSM is equal to all but the very best speakers I have heard in the $10,000 price range. It is smooth, full, relaxed and incredibly realistic. 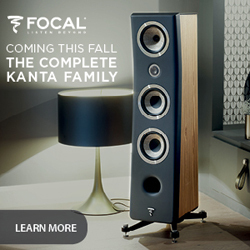 The dynamic contrast is easily the best I have heard from any speaker under $5,000. The highs are rendered with incredible realism and the bass is extraordinary for a speaker with a 6.25 inch woofer. It’s not exactly subwoofer territory but all the way down to 55 Hz, it is tight, controlled and tuneful. 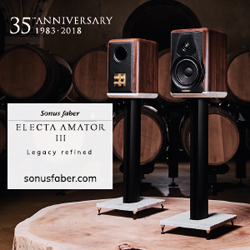 Yes, there are plenty of speakers in the $3,000 price range that will deliver much deeper bass than the TSM, but I would rather opt for a speaker that delivers bass down to 55 Hz accurately rather than one that goes much lower but without the control and tunefulness of the TSM. 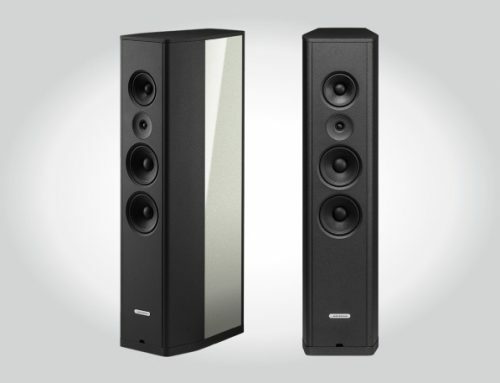 The TSM is also one of the most neutral speakers I have heard in this price range. They are great at helping you gauge the quality of your upstream components, cables and interconnects. They have great synergy with Cardas cables. 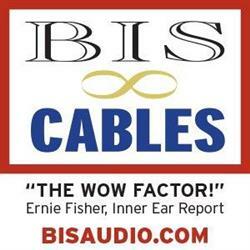 I tried out lesser quality cables and the TSMs were quick to reveal the flaws in them. 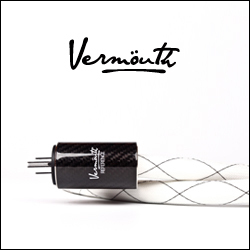 They truly deserve to be matched with superior upstream components and cables, which will bring out the best in them. The TSM is also one of the best two-way mini-monitors I have heard when it comes to getting the woofer and the tweeter to dance well together. Bobby’s choice of driver units and crossovers has resulted in a speaker system that has extraordinary continuousness across all audible frequencies. The transition from the woofer to the tweeter is amazingly seamless. With my collection of around 72,000 tracks across my vinyl, CD, Sooloos and iMac music collection, covering most genres (except hip-hop and rap) I was able to try out a wide variety of tracks on the TSM. It acquitted itself with flying colours with every genre but it did show a penchant for jazz, classical and bluegrass. The TSM is also the top of its class when it comes to sheer musicality. I have heard countless speakers that get everything right but are just not musical. There are speakers that may be a technical tour de force but just don’t tug at your heartstrings when delivering a romantic love song or seduce you when playing a husky voiced diva or make you tear up when listening to a heartbreaking ballad. 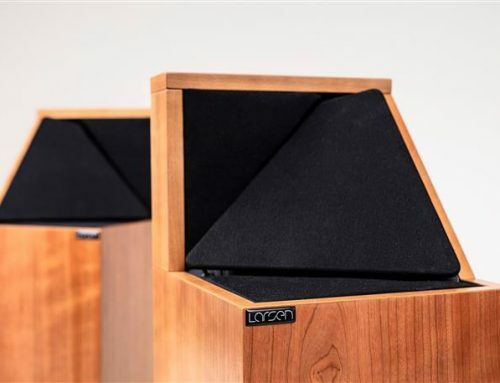 This is a quality that few speakers below the $10,000 price range have and the TSM has it in spades, delivering the emotional content of the music that really lets you connect with the artiste. When it comes to reproducing voices, especially female, the TSM has few if any rivals in its price range. Most comparably priced speakers tend to sound quite nasal, one-dimensional and flat when delivering voices. In comparison the TSM makes it very easy to conjure up a flesh and blood body as the source of the voice. Imaging is one of the TSM’s fortes. If you get the placement right and play a very well recorded track, the TSM pulls a Houdini on you. 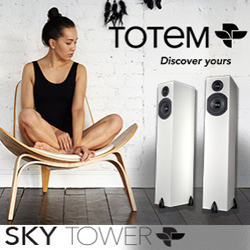 The speakers sonically disappear while leaving behind a solid and well defined sound stage that is tall, wide and deep. They are also one of the most fatigue free speakers I have heard in this price category. During the review I tried an all night listening session with the TSMs and at the end of it, it was lack of sleep rather than listening fatigue that prompted me to end the session. Does this mean that the TSM is automatically the right speaker for you if your budget is around $3,000 to $5,000? Not really. If you are a bass freak who expects to not just hear the bass but feel its impact on your chest, the TSM is not for you. The TSM is also not recommended for very large listening rooms (over 3,500 cubic feet). 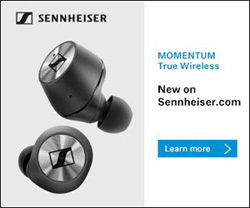 They can play surprisingly loud for their size, but when you get to sound pressure levels of over 95 dB you can detect compression and other forms of distortion. The TSM is also not recommended if your upstream components, cables and interconnects are not of high quality. These transducers are straight talkers and do not mind telling on failings in the upstream components and cables feeding them. It did not matter whether I drove the TSMs with solid state or tube upstream components. It was comfortable with either but it was a smidgen more partial to tubes. 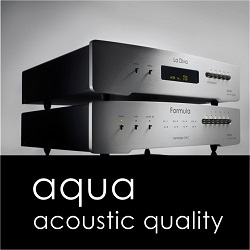 One particular tube amplifier that the TSMs seem to waltz beautifully with is the Ars Sonum Filarmonia. The synergy of this pairing is very apparent. Like most fields of consumer electronics, speakers are subject to technology obsolescence in some of their parts or circuits. This sometimes makes owners wish they had waited for a later model. Bobby has countered this factor by offering reasonably priced upgrades that bring older models amazingly close to the latest models in terms of performance. I have found that Bobby offers these upgrades only when he is confident that they will make a significant and meaningful difference to the performance of the speaker. Customer service at Merlin Music is as good as it gets. Bobby is very accessible. Current and prospective customers can call Bobby at his factory in Hemlock, New York. He has extraordinary patience and will spend all the time you need, providing guidance and advice to help you get the best out of his sonic works of art.